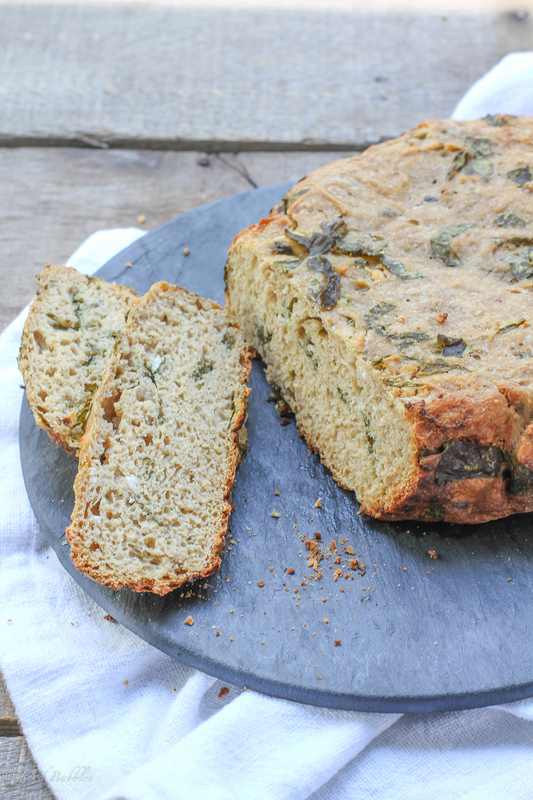 Break out your slow cooker and make this easy no knead bread- filled with garlic, spinach and goat cheese crumbles. In a large bowl, whisk together flour, salt and yeast. Add garlic, spinach and goat cheese crumbles. Gently stir just until evenly distributed in flour mixture. Add water and stir until a shaggy dough forms and all flour has been incorporated. Cover bowl with plastic wrap and allow to sit covered at warm room temperature for 1½ hours. be very sticky. Cover lightly with plastic wrap. Let it rest 30-45 minutes. While dough rests, heat the slow cooker on high. Transfer parchment paper and dough to slow cooker. Drape paper towels over top of slow cooker and place lid on slow cooker. Recipe created for Red Star Yeast by Food Babbles. 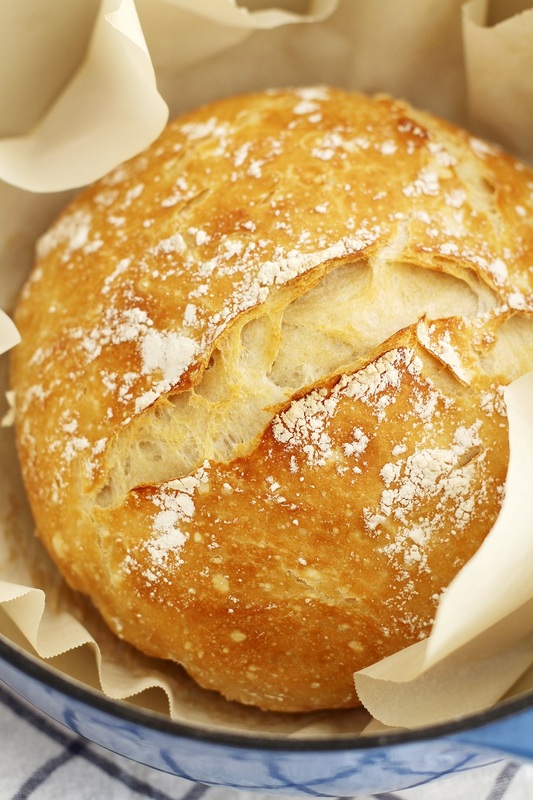 *If desired, for a darker, more crisp crust - after slow cooker is complete, place bread on a baking pan lined with parchment paper or silicone mat and continue baking bread in a 400°F oven until golden brown and crisp on top, about 20 minutes. Is the spinach fresh ? Wouldn’t that leave a lot of moisture ? Or frozen and squeezed dry ? Very different amounts of spinach . ” drape slow cooker with paper towels ? What ? Where. ? Across the top ? Under the lid . This is not a very well written recipe . The paper towels are draped over the top of the slow cooker, under the lid. This is to prevent excessive moisture from dripping onto the bread.